Don’t cheat yourself (or the world), you are Powerful! This last week I have had four conversations with people who truly believe that they have no power, that they are unable to effect change in their life or anyone else’s. Collectively, the message was “I have no control over my life, I am powerless to do anything about it”, “I can’t change the world, I am just some small speck on the planet, there really is nothing I can do”, and lastly “Well, the Earth is ruined anyway so what’s the point of me doing things any differently”. This is such an ineffective story to have, plus its total BS!! Every single one of us is powerful. The decision lies in whether or not we want to step into that power. Do I want to live from an empowered place where I trust that I can make a difference or do I want to live from a disempowered place where I believe I have no ability to influence myself or others? I remember my Dad telling me a story when I was in my teenager years. It is the story of the starfish on the beach. There is a man walking along the beach and the beach is covered in starfish. They have all been washed up on to the shore and now are going to die because they are out of the water. The man, as he is walking along, is picking the starfish up and throwing them back into the ocean. Another man is walking along the beach in the opposite direction and he says to the guy picking up the starfish, “Mate, don’t even bother throwing them back in, there are just to many of them to make a difference”. I love this story because it illustrates so beautifully that making a difference doesn’t have to be saving the planet (or ourselves) in one foul swoop, its doing lots of little things that empower not only us but the world around us. 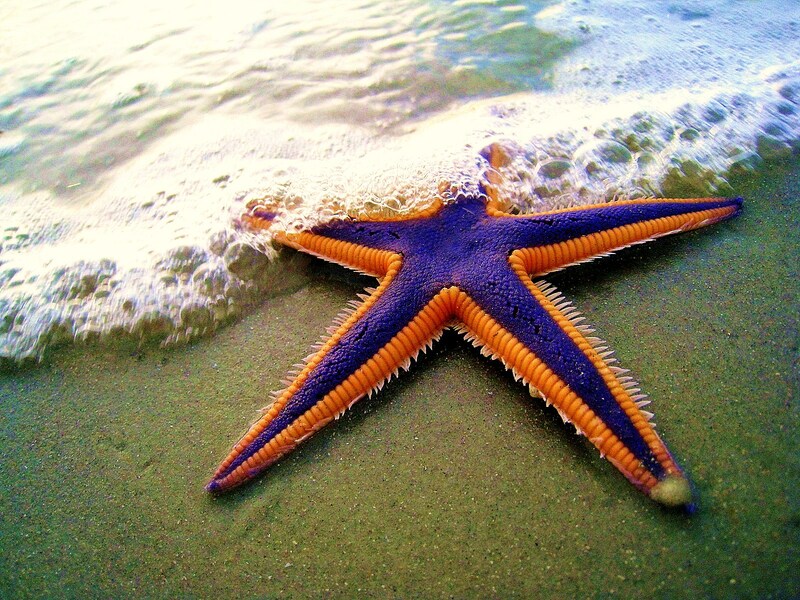 For each and every starfish that got thrown back into the ocean, he made a difference. For each and every starfish, that man got to experience the pleasure of his own empowerment as he helped something outside of himself. I get that we sometimes feel so small in the face of some of the challenges that we have on earth right now but remember, as a family, community, city, country we become VERY powerful, especially as we banned together. Imagine if all those people who have effected amazing change, had the same belief as those people I have spoken to this week. India would still be controlled by the British, Apartheid would still be alive and well in South Africa, women would still not be voting and the hole in the Ozone layer would be ginormous by now. So the question is, how do we as individuals express our power? Well, we speak up, we have opinions, we have conversations, we say no or we say yes, we ask, we get curious and we continue to educate ourselves about what ever it is that we feel passionate about. Every time we go to the shops and open our wallet we are telling industry what we like and don’t like. Twenty five years ago there were no organic sections (in my memory) in the major supermarkets, if you were Vegan you were a freak and now there are cafes that only serve coffee with non diary milk, recycling was a novelty, animal testing was rife and and products didn’t have to be labelled to state whether it had occurred or not. Recently, the Australian government conducted a survey on Animal testing with the view of changing the laws to match the will of the people. So really, when you think about it, we have already come a long way. I firmly believe that we have come a long way because of people like you, me and the four people I spoke to during the week (they just don’t realise it). We are creating the world we live in, whether we do it consciously or not, so lets do it consciously and be really POWERFUL.